The 25th Anniversary Fall Dengeki Festival event revealed. A Certain Scientific Accelerator manga will be receiving an anime adaption in 2019. With the announcement, a Poster showing off the first visual of the anime and a trailer announcement was released. Nobuhiko Okamoto will be returning to Voice Accelerator and Rina Hidaka will be voicing Last Order. It was also revealed Nobuharu Kamanaka will be directing the anime. The manga this adaption is based on with the same name, A Certain Scientific Accelerator. Has been ongoing since 2013. 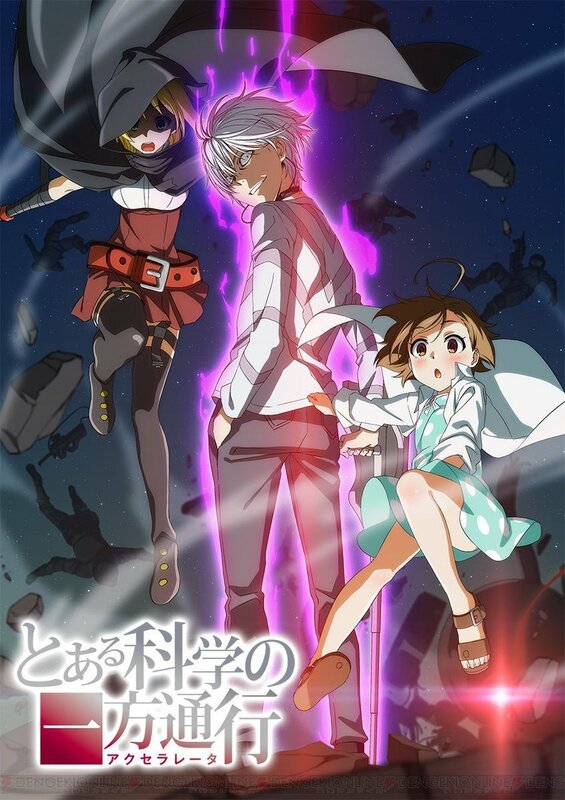 The series is a spin-off to the A Certain Magical Index series which currently has its 3rd season airing. During the same event, this was announced it was also revealed that A Certain Scientific Railgun will be getting a 3rd season which will also air in 2019. To read more about that check out our previous article covering A Certain Scientific Railgun. As for now, this is all we know about A Certain Scientific Accelerator. More information to be revealed on a later date. Now, do you see what I meant in the last article about Railgun? What I meant by the Index fanbase is getting really spoiled? This is just great honestly while I haven’t read the manga for the series. Just knowing another one of my favorite characters is getting his own anime has got me excited. I do have one worry though. The director for this adaption… I do not know if I have faith in him doing this. He might ruin this and that’s the last thing I want. The reason why I say he might ruin this. Is because of the last series he Diratored was Big Order and no offensive to the people who liked that series. The anime was god awful and not just that this director doesn’t have a lot of anime under his belt. He seems to be fairly new. So this has me really worried about this series. I’m still looking very much forward to this but I think I will lower my expectations a bit. Anyway, that is all my thoughts on that. If want to also find out some info and news that’s not related to the index series. Don’t forget to check out our, anime and manga news roundup.